Also available in Japanese here. The amazing adventure of changing what was is considered to be an incurable disease and with that, a life of limitation. The true story of a mans transformation from 3 weeks to live, to a phenomenal life. 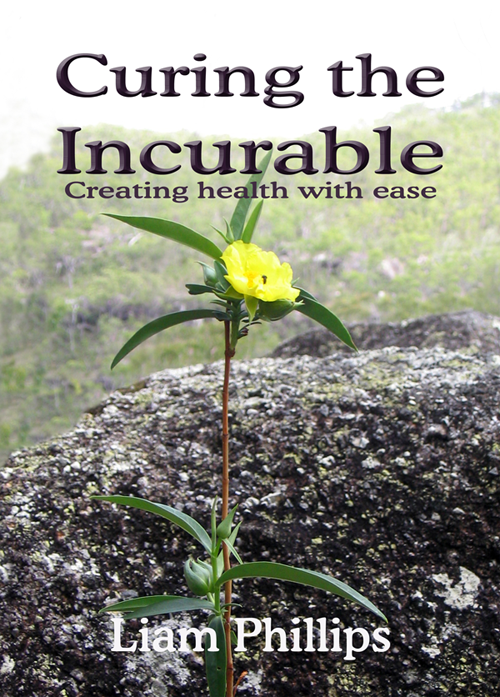 Liam Phillips created Curing The Incurable after a battle of 3 desperate years with an incurable disease. During this he suffered terrible emotional, physical and mental pain. Knowing in his heart that there had to be another way he set out to search the world for a cure that would ease this, or die trying! During this search he tried many conventional medical practices & was told to overcome this disease he would have to have surgery that was often not successful. Not happy with this answer, he began experimenting with alternative diets and medicine, meditation and self help methods. Although these offered some relief, he did not find the long-term change he was seeking. In the final days, just before he gave up hope of ever finding anything and contemplating his suicide he found something different that changed his body and life. Liam added these simple tools, from Access Consciousness®, to his life and his body responded dynamically. After three months his book Curing the Incurable was written.